Someone has this book ? 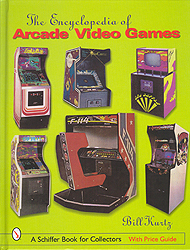 Dragon's Lair Fans - Arcade Lifestyle > General Chat > Arcade Lifestyle > Someone has this book ? Because I'm looking for information about Winner cab ant he is listed on klov has he 's in the book. Re: Someone has this book ? I have it, what do you need to know? I want to see the page where there is Winner (midway, 73), if there are some interesting story,comment or description. Indeed, there's not much text. It's mentioned in a paragraph about pong clones in the previous page too. We have founded 2 winner cab with a friend, and a Winner IV too. I like read story of the game I've found.